Jen Bricker - Born without legs, Jen Bricker's biological parents left her at the hospital. One would think she would be destined for a life of hardship. However, her amazing adoptive family gave her one simple rule, "Never say the word, Can't." 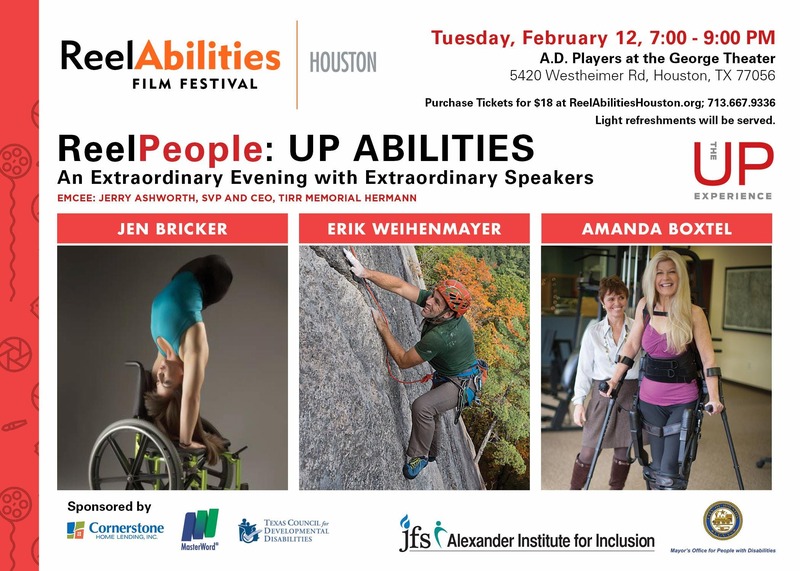 Always challenging herself, Jen transitioned from a State Champion in power tumbling into an accomplished acrobat and aerialist, speaker and bestselling author. Erik Weihenmayer - Eirk Weihenmayer is one of the most celebrated and accomplished athletes in the world. In 2001, he became the only blind person in history to climb Mount Everest and has since completed his quest to climb all the Seven Summits - the tallest peak on each of the seven continents. Erik founded an organization called No Barriers, which helps people with challenges tap into the human spirit, break through barriers, and contribute to the world. Amanda Boxtel - Amanda Boxtel currently serves as Executive Director for Bridging Bionics Foundation, which aims to bridge human mobility with exoskeletons and bionic technology. She is honored to have been announced as the CNN Heros Top 10 for 2018. After more than two decades of paralysis and a journey across continents, her pursuit is one of spirit-mind-body transformation. While her spinal cord injury took away her ability to walk, it didn't take away her ability to dream as she continues to improve the lives of individuals with disabilities.